The German empire had formed in 1870 from the German confederation. It consisted of 27 smaller states, all answering to the Kaiser. Each state had a representative on a council that helped determine the day-to-day workings of the nation, with a chancellor at the helm. However, Prussia being the largest state meant that it had a majority share in the inner workings of the Empire. Otto von Bismarck, a Prussian, became chancellor of the Empire, second only to the Kaiser himself and had helped unify Germany into a single nation. Bismarck was a conservative thinker, wanting to grow his new nation into a stronger presence globally. He did just that. In ten years, Germany had overtaken Great Britain in the size of its economy and was second only to the United States. The German navy became second only to that of Great Britain’s, though it still was small by comparison. “One day, the Great European War will come out of some damned foolish thing in the Balkans”. “…the crash will come 20 years after my departure if things go on like this”. He was correct on both accounts. When the assassination of Franz Ferdinand occurred, Germany was drawn into a war with Russia, France and Great Britain. 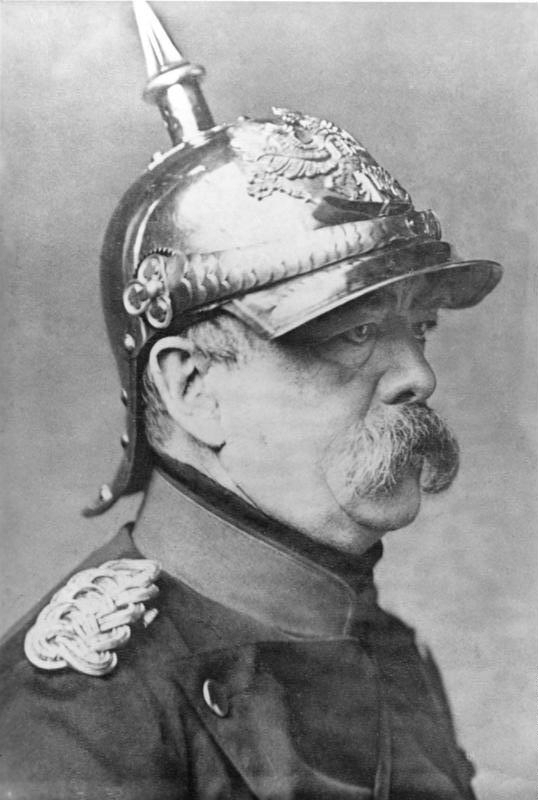 Bismarck died in July 1898. Just over 20 years later, the German Empire had been defeated by the Allies. 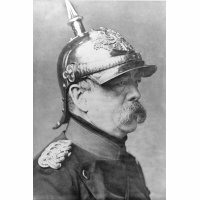 The loss of the guiding hand of Bismarck would prove to be the doom of the German Empire. When the war began, the German military had a plan to deal with France. This was known as the Schlieffen plan and had been in development for many years. They would use Belgium as a staging ground to gather forces to attack along the whole French border, allowing for an encirclement to try to surround and crush any resistance. Had this plan worked as intended, trench warfare would have been avoided due to the high degree of mobility in the German army. However, Belgian resistance was too strong for the Germans to move quickly and Britain and France had time to build defences, forcing the Germans into a war of attrition, which they could not win. 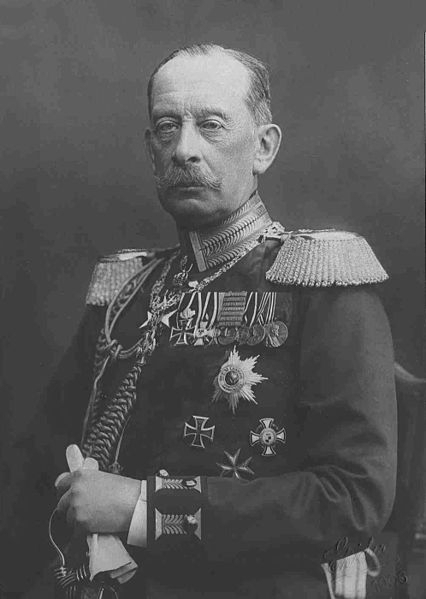 Description: Count Alfred von Schlieffen, Circa 1906. 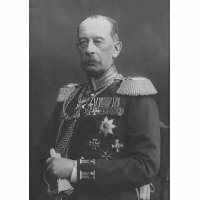 Alfred von Schlieffen was the chief of the Imperial German general staff and Field Marshal of the German Cavalry divisions. The plan to invade France was named after him. Despite the strong military and economical might of the Germans, they could not keep up with the Allied powers. The arrival of tanks on the battlefield signalled a change in tactics. While the Germans were adept at defending, they could not successfully attack and hold in prolonged fashions. They also only produced a handful of tanks, whereas the Allies produced thousands tanks in various different forms for different purposes. At the end of the war, the German Empire was blamed as the primary belligerent of the central powers and was ordered to pay the allies in the order of 20 million gold marks (around $5 Billion today) as reparations and to buy food and supplies for the German populace. Following the fall of the Empire, Germany became the “Weimar Republic” which would last until the rise of the Nazi party in 1933.